Bed time routines add another thing to your already jam packed to-do list as a mom. If you’re like me, by the time the clock strikes bedtime- I AM DONE. I want to be in bed, laying down, with no more toddler climbing on me. But here’s the thing- it is SOOOO worth it. If you’re having trouble getting yourself to put in the extra time and effort to create a bedtime routine consistently, think of it this way. Any of the extra effort you put in before bedtime ensures that you put in less work in the middle of the night, and get a fuller, longer, more restful night of sleep. And so does your baby! If you can’t already tell, bedtime routines are just my favorite thing in the universe. Even on nights where my little one seems wound up and not ready for bed at all right before I start the routine, it has never failed that by the time I set her in her crib she’s 100% ready to drift off. As soon as I started this routine at around 10 months old, my daughter has slept through the night 10-12 hours. 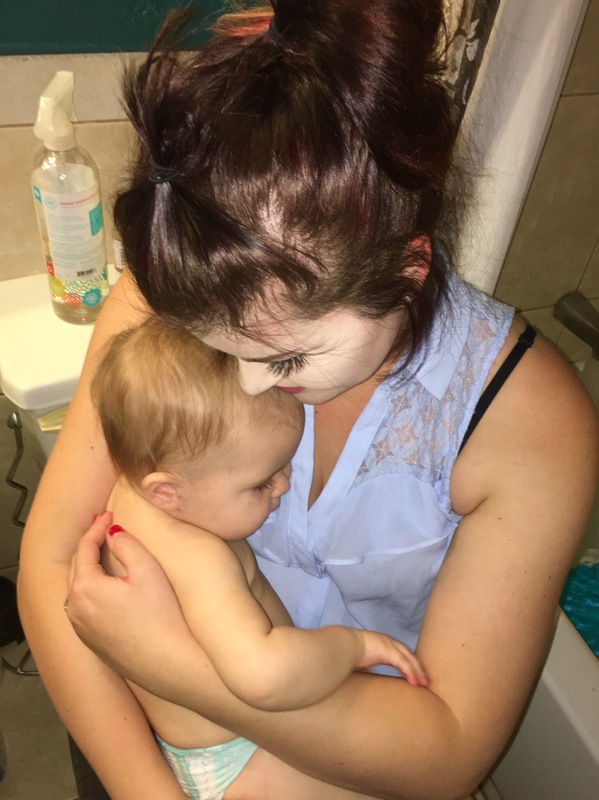 Combined with our gentle sleep-training method (see last post How to get your Co-Sleeping and Codependent Baby to Sleep Through the Night) she even learned how to soothe herself back to sleep if she awoke crying in the night. It’s saved me countless middle-of-the-night visits to her room! Here is a detailed description of Ellie’s nightly routine. If breastfeeding, it is vitally important not to breastfeed them to sleep. It creates a dependency on you to fall asleep, and if they awake in a place different from where they fell asleep it will always startle them. I had breastfed her to sleep for her entire first 10 months of life so imagining changing this was just crazy to me. But again, SO WORTH IT. -If you are not breastfeeding, just make sure they have their bottle, water, or a snack right before you start the routine instead of directly before bedtime. My absolute favorite nursing dress from Undercover Mama. Click the photo to check them out! Step Two. Get their room ready. I make sure her lovey is in her crib and a pacifier is nearby. Then, I turn on her night light and white noise machine. Now the room is all dimmed and ready for us to come in to get dressed for bed in at the end of the routine. Step Three. Bath and Brush Teeth. -If baths have never been associated with bedtime for you, or you don’t usually bathe every single day- still consider adding this step. Having a solid routine with a few consistent steps to it signals your child that they need to wind down for the day. Step Four. Lotion, PJS, and a song. Lastly, I lay Ellie down on a furry rug in her room. While lightly singing a song, I dress her in a night-time diaper, put lotion on her, a little bit of essential oil for sleep on her chest, and one for teething on her jaw-line. Then I wrap up my song, button up her pjs and give her a big hug and kiss before laying her down. She watches me leave the room, and quietly turns on her side and falls soundly asleep. 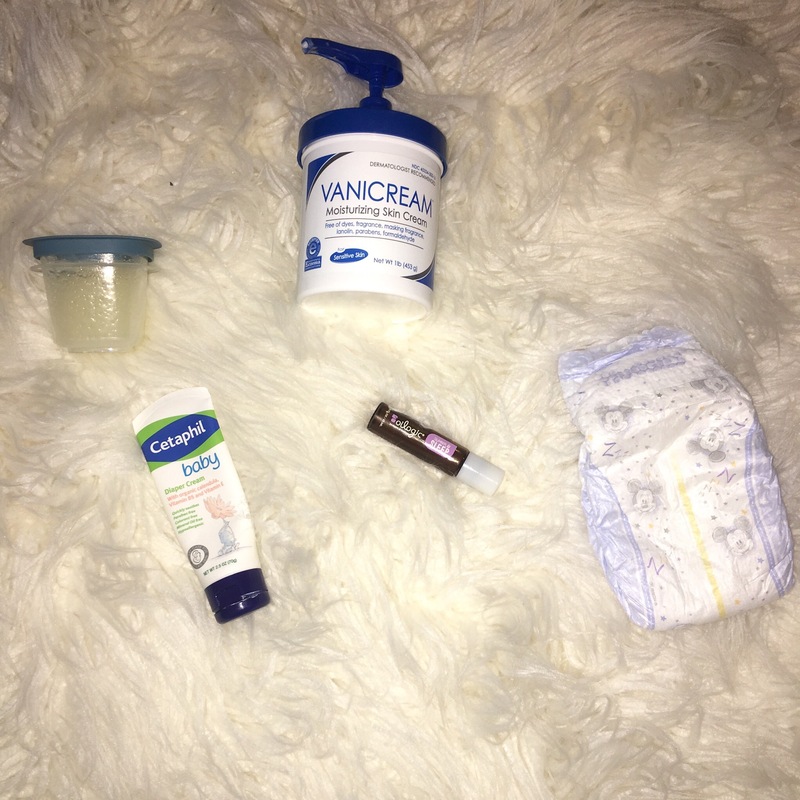 These are all the products I use in Ellie’s nightly routine. 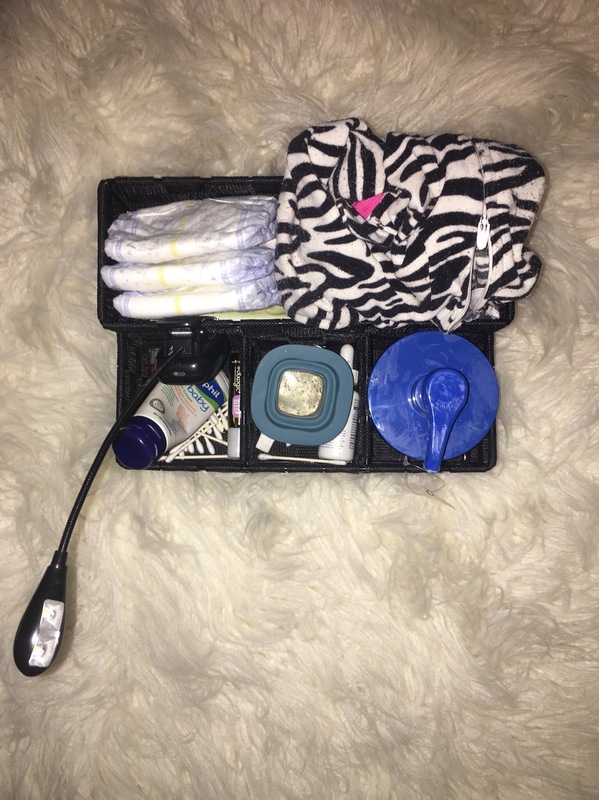 The bed time caddy I made to keep all her routine products on hand. It may be a lot of work, but it is also some of my sweetest, most cherished time with her. It is nice to relax, wind down and get ready for bed together. And best of all, it is followed by 10 beautiful, glorious hours of uninterrupted SLEEP.